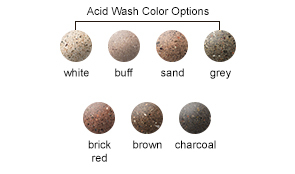 Add a modern capital splash to architeichture and landscapes, with a precision crafted concrete waste receptacle. 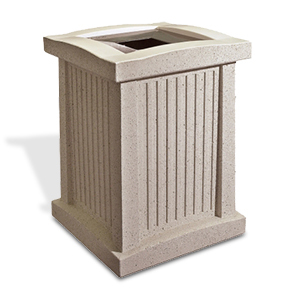 The detailing in this capital inspired 24 gallon receptacle stands out to encourage proper litter disposal. The aluminum pitch-in top accents the smart concrete design and discretely conceals the contents of the inside while still allowing sufficient disposal access. Polyethylene liner and security cable are included. Constructed with steel reinforced concrete, this sturdy receptacle will withstand the most demanding conditions and maintain its original beauty. 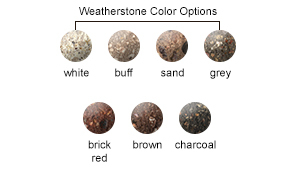 ASTM compliant standard and premium finishes are available to naturally complement any installation environment.